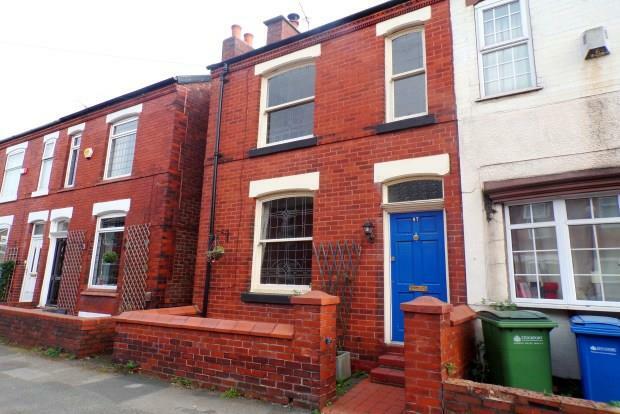 2 Bedroom Semi Detached House To Rent in Stockport for £750 per Calendar Month. This fantastic two double bedroom mid terrace house which will make a great home. On the ground floor there are two reception rooms with feature fireplaces, the rear reception room opens onto the open plan kitchen providing a great family space. The property also has a good sized usable cellar accessed from the kitchen. As you head up to the first floor there is a large family bathroom and two large double-bedrooms. The property benefits from built in storage in the master bedroom and landing area. The property is located in a very popular area being close to Davenport train Station and the A6 making it ideal for commuting. You also have Stockport Grammar School around the corner and all the amenities you require are close by being situated between Stockport town centre and the suburb Hazel Grove. We advise you to act quickly as this property is available for immediate occupation. Call now to arrange your viewing.